Did you know that March 3rd is National Moscow Mule Day? Well now you do. Plus we are giving you more info on the Moscow Mule. 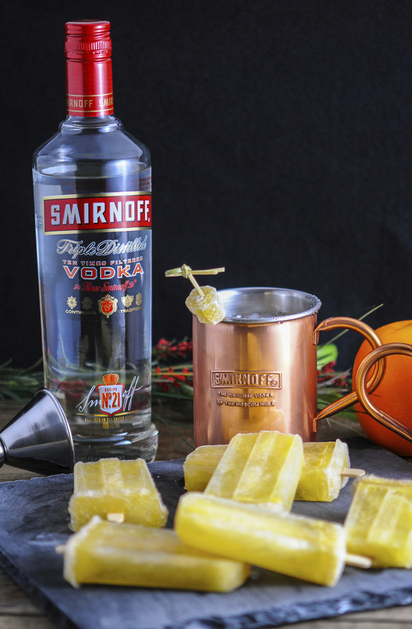 It was invented in 1941 by Smirnoff, the Moscow Mule has been making a comeback in recent years. March 3 (or 3-3) is significant as there were three people involved in the cocktail’s creation, three ingredients in The Original Mule and when turned counterclockwise the numbers become an M-M. So now it’s the perfect time to celebrate with a classic Moscow Mule (easily made with 1.5 oz Smirnoff vodka, 4 oz of ginger beer and a lime wedge or with one of the fun twists below. Into the bottom of a copper mug, add vodka, lime juice and ice. Top with ginger beer and a scoop of sorbet. 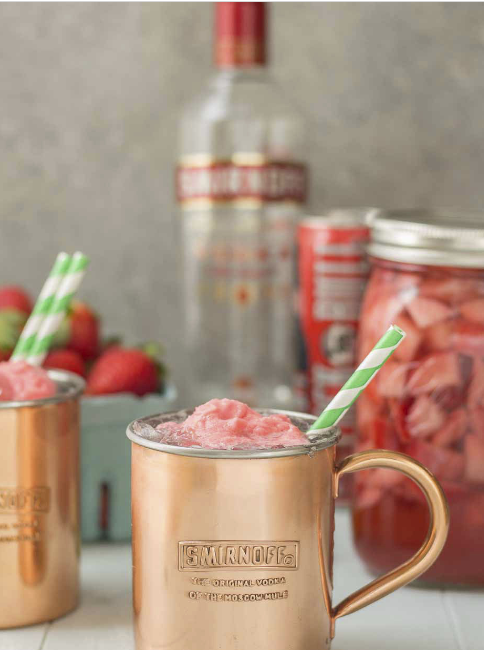 In a cocktail shaker, mix ice, Smirnoff No. 21, Cherry Ginger Beer and Cherry Limeade. Stir until combined and strain into copper mug over ice. 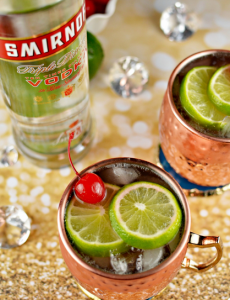 Garnish with cherries and sliced limes. Fill copper mug with crushed ice. Add vodka, orange juice and lime juice into the mug. Stir and top with ginger beer. Garnish with candied ginger. Add all ingredients into a bowl and whisk to mix completely. Pour mixture into ice pop molds and place into freezer. After about 90 minutes, insert sticks into the molds. Allow ice pops to freeze overnight. The Most Googled Drink Is…..
Print article This entry was posted by Art Eddy III on February 27, 2017 at 7:12 am, and is filed under Lifestyle. Follow any responses to this post through RSS 2.0. Both comments and pings are currently closed.